SAN BERNARDINO, Calif. -- A 31-year-old woman has died after being injured in an extreme attraction at the San Bernardino County Fair, the coroner confirmed on Friday. Fire department officials said Sabrina LaVelle Bell-Gordon suffered injuries after taking part in the "FreeDrop USA" attraction around 7:15 p.m. Thursday. She was airlifted to the Victor Valley Global Medical Center. Authorities said she died overnight. The "FreeDrop USA" attraction is closed as investigators try and figure out what went wrong. Thursday night, authorities inspected the attraction's scaffolding. 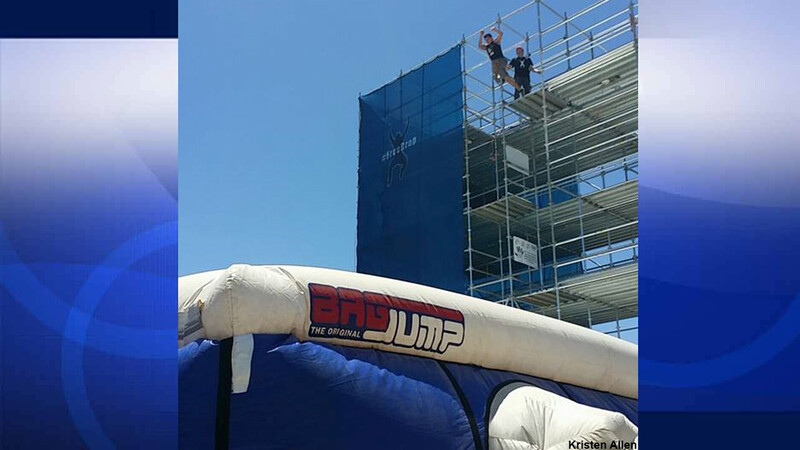 The attraction involves people jumping from the top of a structure and free falling onto a giant air pillow. LaVelle Bell-Gordon lived in Hesperia with her husband.